The JCSWCD Team approached us with a desire to get their products to each and every one of their customers, as well as answer any questions they might have about whats going on with the organization. With a fully responsive E-Commerce website no customer is out of reach. Their store will look flawless across all platforms and devices their customers use natively every single day. We glued the key components of modern responsive design, with the flexibility of modern frameworks to give Jefferson County Soil and Water Conservation District a nice overall solution that fits their needs. We’ve built Jefferson County Soil and Water Conservation District a powerful store interface that they can access to add products and/or update every detail as they see fit. 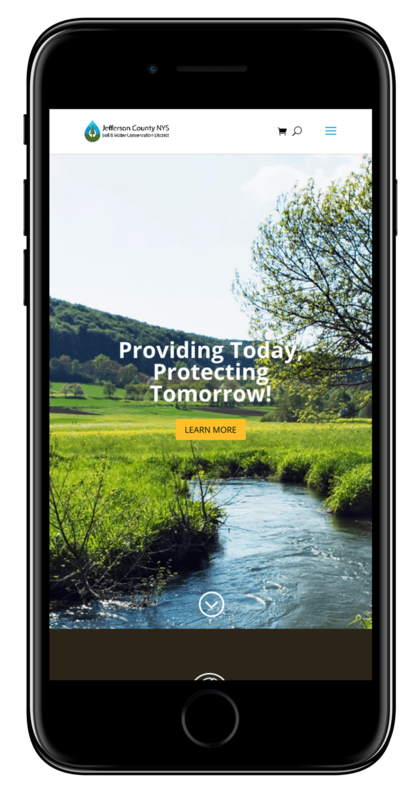 Our goal for Jefferson County Soil and Water Conservation District was to provide the best possible user experience on any device, from iMac with a retina display to even a tamagotchi. Clean design and careful placement of features was a must for Jefferson County Soil and Water Conservation District. The framework Jefferson County Soil and Water Conservation District was built upon was chosen to provide top notch flexibility and security for 2017.